I’ve been meaning to do a quick write up of the fermentation controller I built that uses an ESP8266 running BrewPiLess, with my ESP8266 PCB. 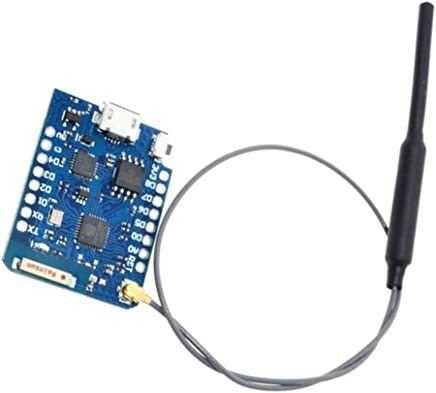 The ESP8266 is a very popular WiFi enabled IoT device. Their most popular commercial use that I know of is in “smart plugs”. They’re used all the time for various home automation tasks. There’s not much to this build, really. The ESP8266 PCB keeps the connections simple. In a small enclosure, I have an ESP8266 with my PCB, with a pair of relays for heating and cooling outputs. There’s a 5V DC power supply to power the ESP8266. For temperature sensors, the popular and cheap DS18B20 sensors are used. At minimum you need two sensors: one for beer/fermentor temperature, the other for chamber temperature. You could optionally use a third for the “room temperature”. And that’s it! While the build is pretty simple, I know when planning a project like this, it can be very useful to see finished projects. I’ll include a parts list at the end. Here are the internals of a completed controller. In the upper left is my ESP8266. In the upper right are some solid state relays. In the bottom left, there is a 5V DC power supply. Connections for temperature sensors and heating/cooling outputs are found on the bottom. Here’s a better look at just the ESP8266 on my PCB. You’ll notice I use an external antenna. The metal enclosure used for the controller operates essentially as a Faraday cage. So a ~$1 upgrade to include the wireless antenna really helps with the strength of the controller’s WiFi connection, and reliability. Though it continues to work if the WiFi connection is dropped, you can’t do things like change the beer or chamber set points. Here’s a close up of one of my assembled ESP8266 PCBs. The screw terminals are used for powering the device (5V), temperature probe connections, and heating and cooling outputs. They’re all labelled (which can’t be seen here). There are also 4 pins across the top which are used to connect to an LCD using the I2C protocol. More details on this PCB can in another post, here. Here’s the bottom of my enclosure – I use XLR connectors for my DS18B20 temperature probes, and cable glands to secure SJOOW for AC inputs and outputs. I personally find these a fair bit easier to install than installing outlets into a controller (which generally involves bringing out the jigsaw if you’re using an enclosure like mine). This is the LCD I mentioned earlier. It is a 20 x 4 line display. This shows the current controller status, as well as some basic information such as the IP address when booting up. These LCDs are 5V logic whereas the ESP8266 is 3.3V logic, so making this work required a logic level conversion circuit on my PCB (otherwise the PCB would be a bit simpler). And finally, a shot of it all closed up! I did still need my jigsaw for this project in order to make a cutout for the LCD. That about covers it. Let me know if you have any questions in the comments. The parts list below uses Amazon.ca links as it’s what I generally use and I do get a small commission for purchases through my links. These components are generally easily found on other Amazon locales, or can be ordered directly from China (generally cheaper but longer wait) using on eBay or Aliexpress. 1 Electrical enclosure for controller and relays. This is the one I use. There are many other options for this – including 3d printing one. 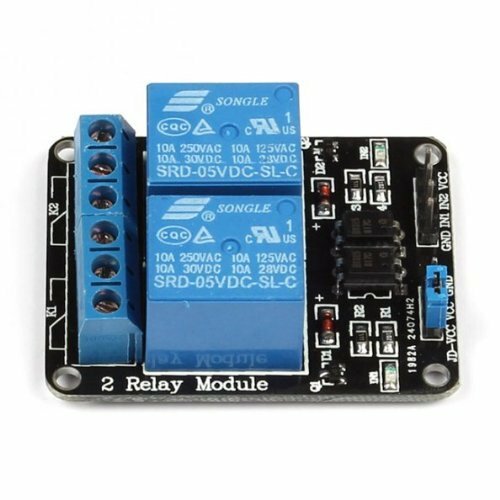 2 channel relay module. One channel for heating and one for cooling. In this build I used a pair of high quality SSRs as it is what I had on hand. Whatever you use, ensure that it is properly rated for the application at hand. 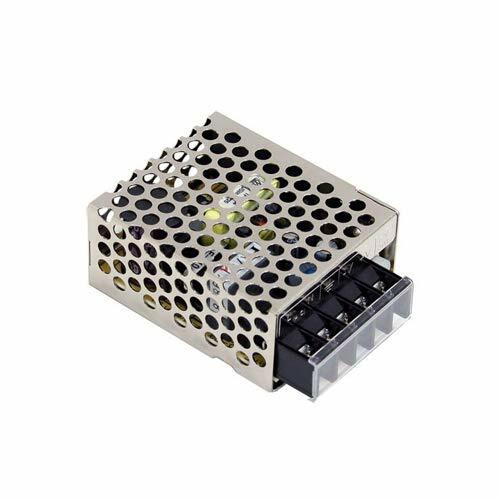 For a fridge, or other appliance with a compressor, you should really use HP-rated contactor, that is controlled by this 5V relay module. Raspberry Pi. You can run Fermentrack on this Raspberry Pi to manage many of these fermentation controllers, or if you would like to do without, you can run BrewPiLess directly on each of your ESP8266. Both work great. 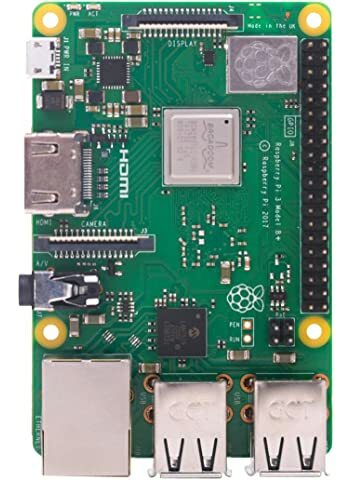 If you are using a Raspberry Pi, you will also require a 5V power adapter and a microSD card – there’s lots of well priced kits available that have everything you need to get started. 1 (optional) 2004 LCD (20×4 LCD). This is extra display that will show the activity of the controller. It’s a “nice to have” – not at all necessary to have a working controller. These can be found for cheap on eBay and Aliexpress. 2 DS18B20 Temperature probes. 2 are required (one for chamber, one for fermentor). Note that the link provided on the left is for a set of 3. A third can be used to monitor outside ambient temperature. Wemos D1 mini (ESP8266). This is the actual microcontroller used in each controller. It will read our temperature sensors, and based on our settings and temperature history, it will activate the heating or cooling relays. It also has wireless capabilities for connecting to your network. 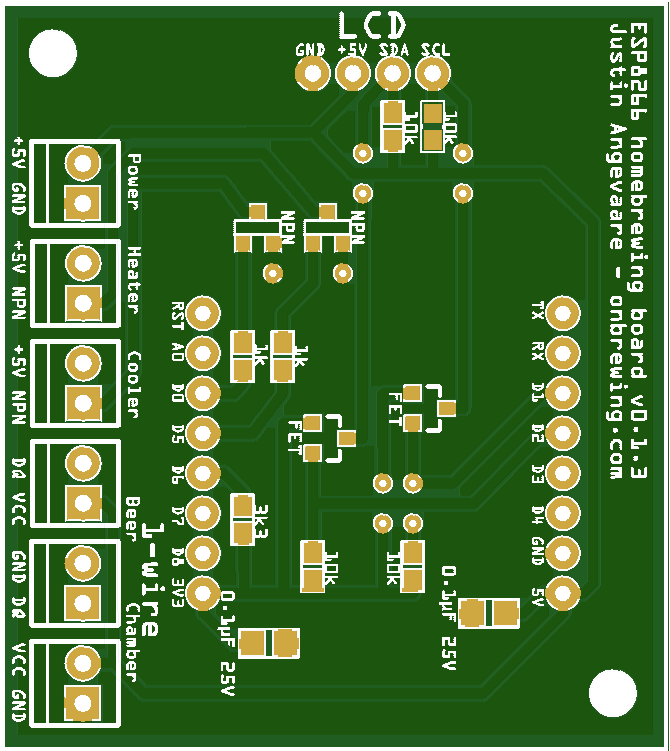 1 An ESP8266 PCB, as well as the necessary components for its assembly. 1 A 5V DC power supply for the ESP8266. Can also be found on Aliexpress or eBay for cheap.